Alameda, CA. 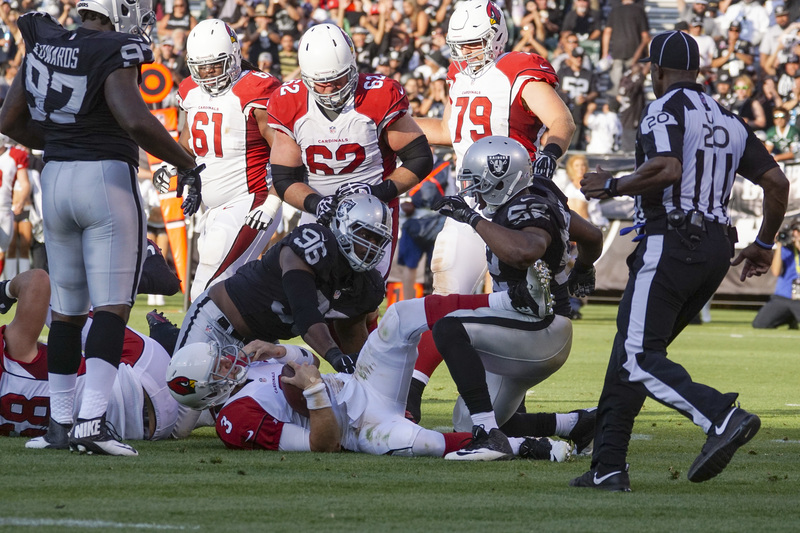 – The Oakland Raiders release their updated depth chart for their first regular season game against the Cincinnati Bengals. 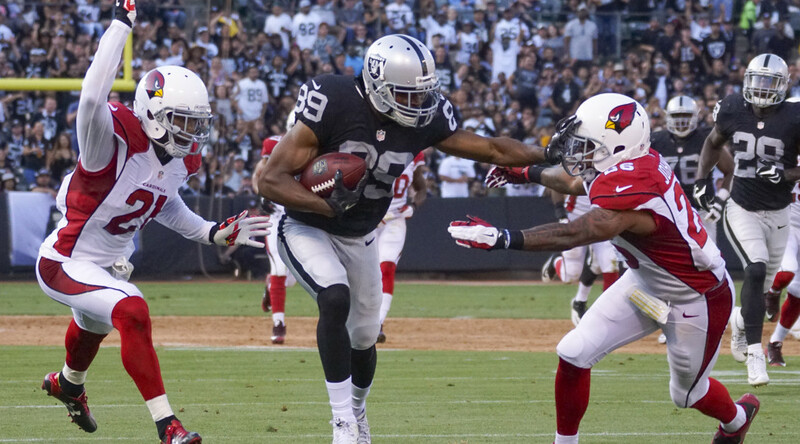 Taiwan Jones Listed as second running back, he leap frogs Roy Helu Jr. Somewhat surprising because Jones played defensive back last season under Dennis Allen. HC Del Rio and OC Musgrave switched him back to his original position, running back, early in the Raiders 2015 off season program. Helu Jr. was injured most of training camp and many expected him to be third down back and brought in during passing downs. Jones may take some of those reps and be use as that Percy Harvin type roll from when Musgrave was with Vikings. 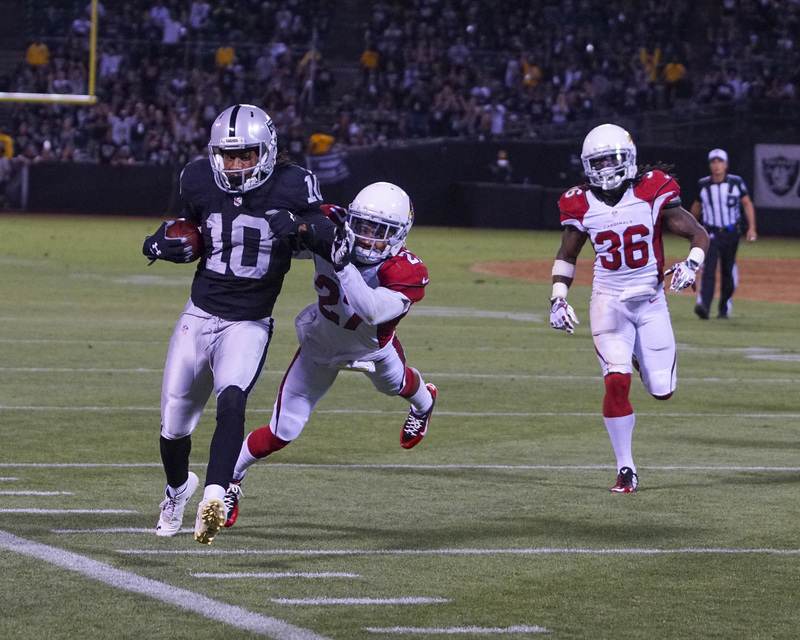 Wide receiver Seth Roberts also overtook Brice Butler with an impressive performance against the Seahawks. Rookie Amari Cooper listed as a starter in his first NFL game. Khalil Mack who was moved to Defensive End will start his first regular season game at that position. His rookie year he was a linebacker. 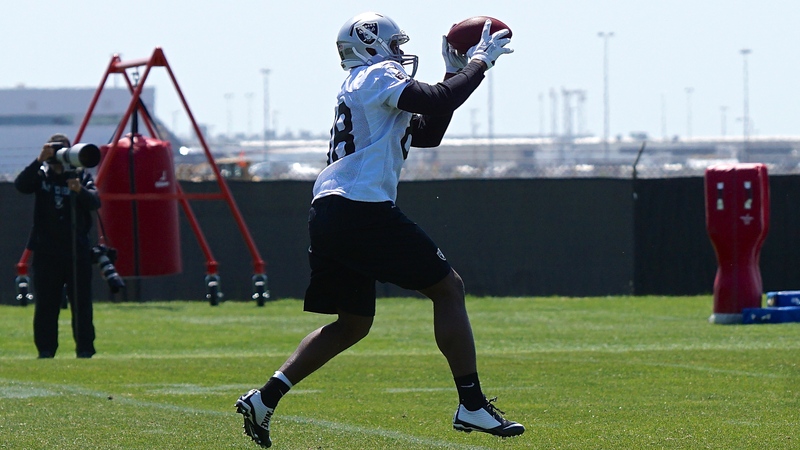 Mychal Rivera listed as #1 Tight End above new comers veteran Lee Smith and Rookie Clive Walford. Walford was projected as the starter by many he was lowed most of training camp with a hamstring injury. The Raiders have an all new Starting Linebacking core with Curtis Lofton manning the middle. Ray Ray Armstrong and Superbowl MVP Malcolm Smith fill in the outside linebacking position. 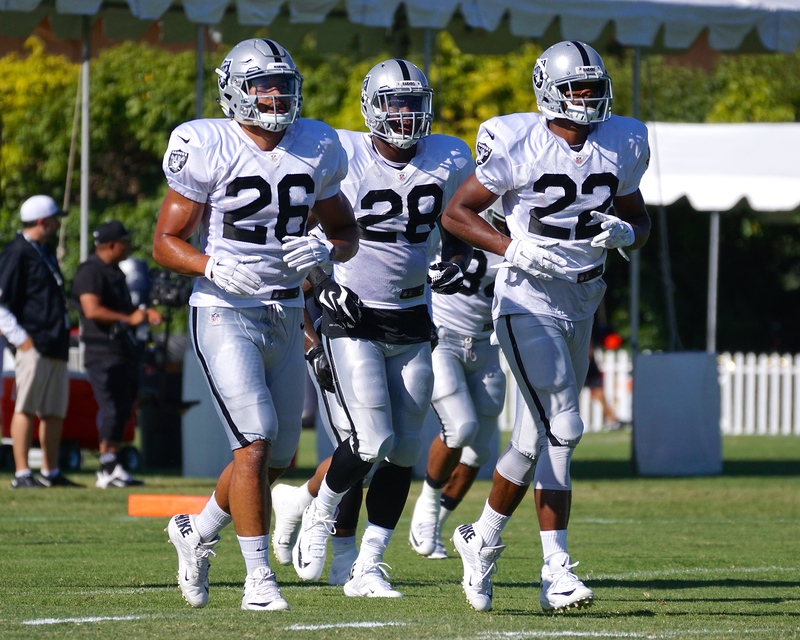 RB 28 Latavius Murray, 22 Taiwan Jones, 26 Roy Helu, Jr.